Former Alaska Gov. Sarah Palin unloaded on President Barack Obama and the Washington D.C. establishment during an address that closed out the 2012 Conservative Political Action Conference (CPAC). 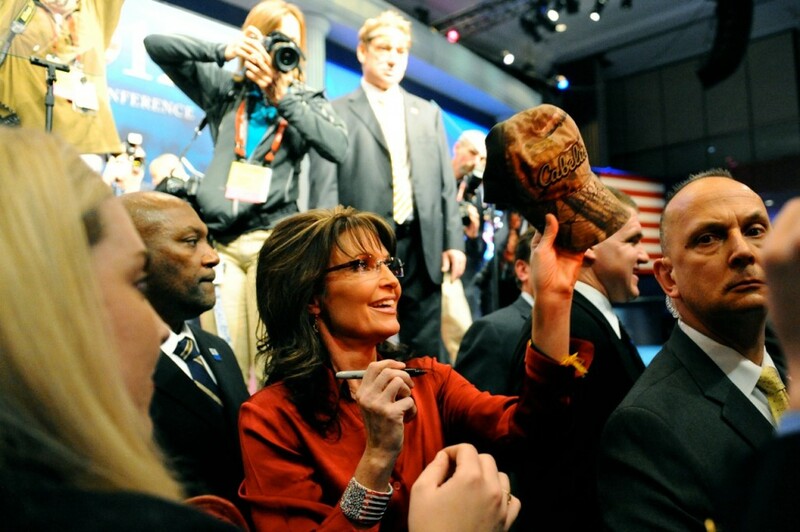 Before a jam-packed crowd, with hundreds more watching on monitors in the convention center hallways and overflow rooms, Palin attacked the Obama economic agenda from many angles. She identified the Environmental Protection Agency (EPA) as a key culprit in destruction of jobs in America. Instead of developing America’s own homegrown resources, the EPA has put the country in a position where it must rely upon dubious foreign sources, she said. And the EPA makes it difficult for businesses trying to expand although, Palin noted wryly, the EPA never seems to block the construction of new government buildings in Washington D.C.
“Instead of calling Washington D.C. a swamp, call it a wetland,” she said. That would be one way to slow the march of government, she suggested. Palin also took aim at “crony capitalism,” which she said, was growing the size of government at the expense of average Americans. Palin also reminded audience members that CPAC was initiated by conservative activists who were out to remake the Republican Party. Reagan called for “bold colors, not pale pastels,” she said. The Tea Party has momentum because “the American people have woken up” to the dangers of big government, she said. If the country continues on a path where policy makers attempt to tax and spend their way into prosperity, the future of America will look more like the old world rather than the new world. “That’s the dream of the far Left, not the American dream,” she said. Never before in American history has there ever been such a division between how the president views the “state of the union” and how average Americans view the “state of the union,” she said. In history of our republic between how our own president sees Americans see state of union and Americans he’s elected to serve see state of the union, Palin told audience members. Unlike President Obama, Republicans are looking to free markets and to long-standing constitutional principles, she said.